Paige Hill: It's Live! It's Live! The Creative Connection Website is live! 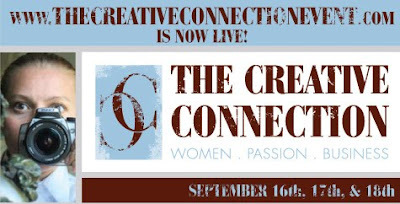 Check it out here: www.thecreativeconnectionevent.com . I'm so excited to be a part of this great event! Go check it out, or better yet, sign up for a class. Some of the biggest and best names in the Crafting business are going to be teaching...You don't want to miss it!!!! Thank you for your beautiful and inspiring blog! I'm a quilter, and I love all things textiles--but I appreciate the creative process in all ways. Hi Paige. Found your blog via Jo's...love it! I have been to the website for this and am thinking about going. So fun!!! Enjoy your weekend ahead.